Cpu eeRec on, vurec0 and vurec1 on, microvu0 and microvu1 on, MTGS on, frame limiting normal. Description: Since Gsdx 1426 revision , Shadows appears in battle. The time and life bar disappears. also the hit effects dissapears. Sometimes black rectangles appears. In tutorial, the text of hits disappears. I have same "shadows" in NTSC "version" (but no disappears text). Both in SuperVU and microVU with last version 1645 (gsdx-1637, and older). We discussed it in some thread already. use Gsdx rev 962 this removes shadows. 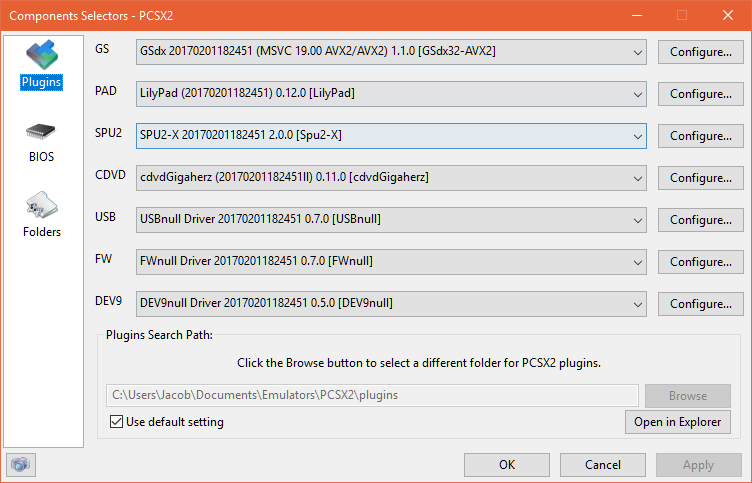 I have tried Gsdx plugin before rev 1426. Ok the shadows disappears but the speed is very slow. I the end it's not good. In newer GSDX revisions do NOT enable Alpha correction in DX9. I played this game a lot in my vacations without problems. I tried with directx 9 gsdx without alpha correction. there is the same issue. With Vista 64 sp2, the same issue is in direct x9 and 10 gsdx. Yes. I use win XP. I'm far from my gaming machine for some weeks. #Tested with software and hardware modes of DX11 and OGL graphics plugins. Shadows of previous rendered frames sometimes appear over the game when reloading a state (DX11 hardware. Not tested with other graphics modes). Did you try it without the MTVU speedhack? Current time: 04-20-2019, 12:57 AM Powered By MyBB, © 2002-2019 MyBB Group.